My handwriting is so messy I can barely write my name legibly. Actually messy is an understatement. A drunken chicken making its way across the page is a more accurate description of my penmanship. It’s not for want if trying, more a lack of fine motor control and spatial awareness. Unlike many primary teachers, I find creating visual arts a form of torture. My classroom wall displays have tended to be more about function than form. Pretty is for Pinterest. While I can appreciate art, creating it was for those fortunate souls who had the ability to see objects in parts that could be put together. 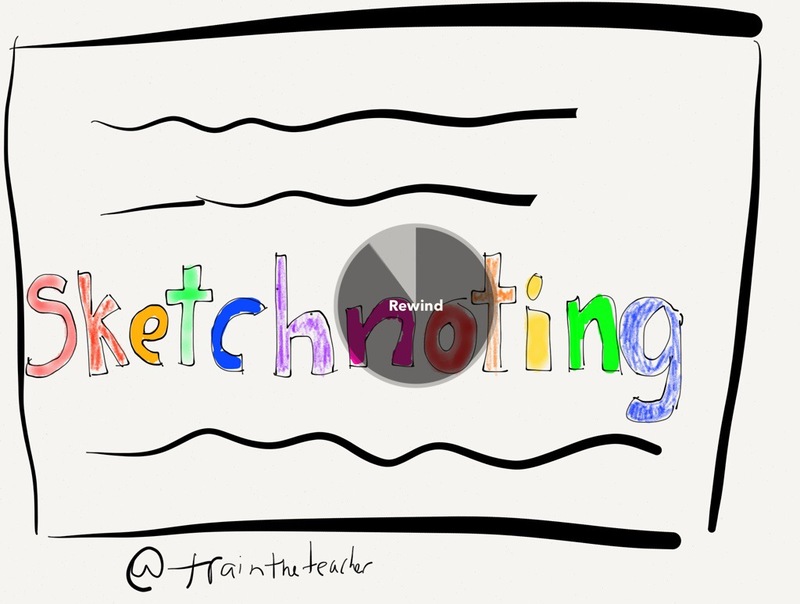 Thus I approached the idea of sketchnoting with trepidation. For those who have not come across the term before, sketchnoting is creating a visual story in reaction to a speaker or reading a text. The art uses a form of visuals and words to convey key ideas and concepts. 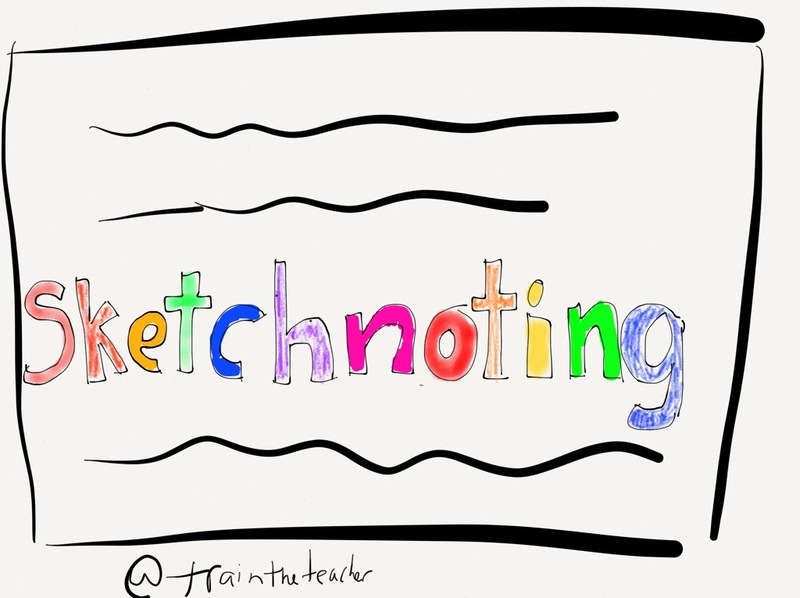 Surely sketchnoting is just a twist on the time-honored tradition of doodling? 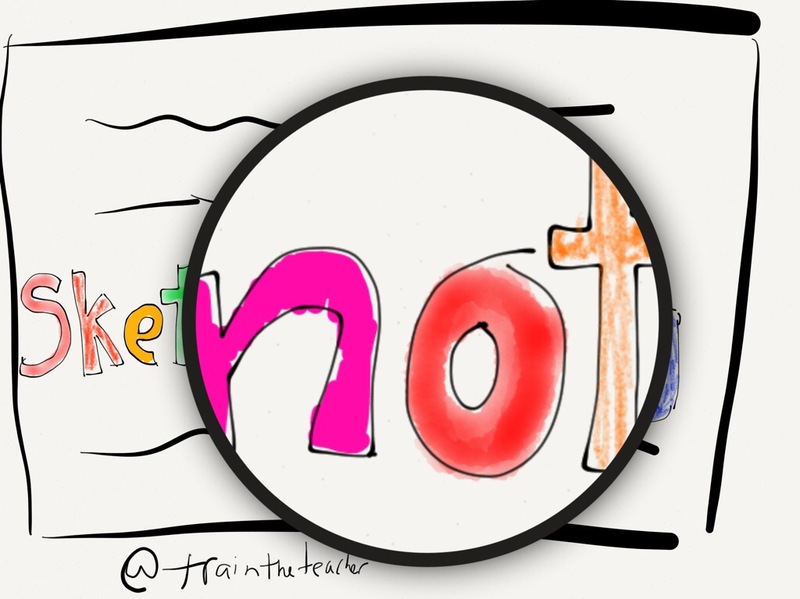 As a non-doodler I tend to think of sketchnoting as doodling with a purpose. Much how twitter forces the verbose amongst us to condense ideas down into 140 characters, sketchnoting forces the creator to be succinct in words and images to convey complex concepts. The creative constraints this time are time, space and, for people like me, artistic ability. I had a play with using paper, a free app for the iPad during the Apple Distinguished Educator institute and was pleasantly surprised by the experience. For the first time in my life I enjoyed drawing. In the past my mistakes would have resulted in having to redo a work or messing up a page by using an eraser. With Paper I can use the erase tool without damaging my work or better yet rotate my two fingers and use it to rewind my actions. However the biggest revelation has been the zoom tool. My sloppy hand movements are no longer a problem as I can simply zoom into an area I want to write or paint and continue to use larger strokes. As a final bonus your creations no longer languish in a journal. They can be easily shared and imported into other apps. While paper not turn me into Picasso anytime soon, I’ve enjoyed the process of sketchnoting and may yet become a doodler. I liked what you had you say about sketch-noting. It sounds like a brilliant app for students who struggle with motor control. I began sketchnoting at the ADE Institute this year too! Really enjoy it and really helps me concentrate and listen.